If you've been waiting for a deal on a Baby Jogger stroller, this might be the lowest price I've ever seen! Remember, Amazon's prices flip fast. If you want “in” on this deal, it's best to place your order ASAP. 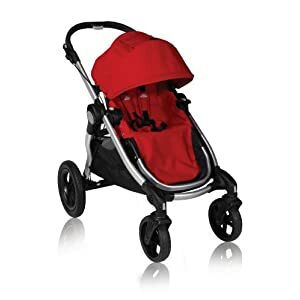 Right now you can pick up the Baby Jogger City Select single stroller in an extra-stylish Ruby Red for $289.99. That's 42% off the regular price of $500! Even better, you'll get free shipping and returns on this item! That means you can have it sent to your home, and if you decide not to use it, you can send it back for a full refund at Amazon's expense within 1 year after your purchase. How's that for stress-free online shopping?